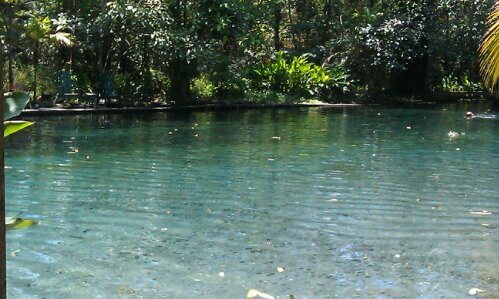 Another place worth a visit is the natural freshwater pool. 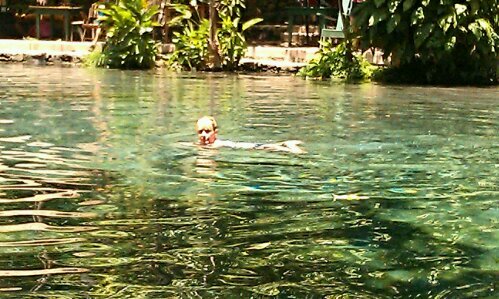 It’s a great place for swimming but gets busy from midday onwards. Luckily we arrived about 10.45 & there were only 4-5 people there. Charco Verde is billed as a nature reserve but was a little dissapointing. It was a nice walk around large ponds with several families of spider monkey & birds. It reminded me of a walk around one of my fav places in UK: Ardingly Reservoir 🙂 It did however, have some great views of the Volcanoes, the lake & a hotel which served a great lunch. Punta Jesús Maria is a thin strip of land which is about 1km stretching out into the lake. You can cycle there from Moyogalpa town. It was included as the final part of our tour. 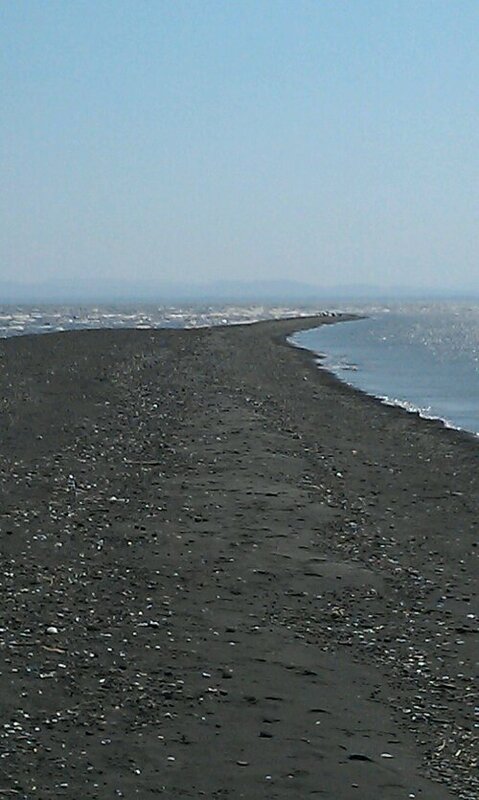 The beaches are dramatic consisting of black volcanic sand which gets everywhere. The water in the lake is quite cloudy though. 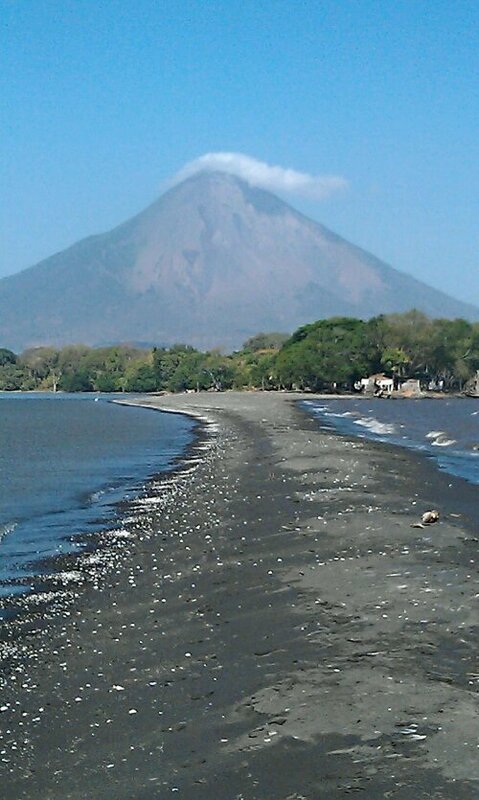 There are stories of the freshwater bull sharks that live up near the south end; apparently they do not come near Ometepe. We made do with our swim in the freshwater pool earlier in the day.